Are you a manufacturer of stairs, furniture, toys, lights, accessories for wooden floors and are you looking for a company specialized in milling, turning and planing of semi-finished wooden products? Then do not hesitate to contact us! We manufacture products for leading renowned designer companies from almost all the world. We manufacture milled and planed semifinished products for manufacturing of stairs, furniture, lamps and toys. Our production also includes designer table accessories, promotional items and more. We produce screw caps of various diameters for staircases and we are able to deliver glued semifinished products for treads and stringboards. We supply furniture manufacturers with legs for chairs, tables and cabinets. 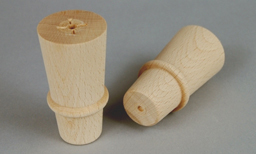 Moreover, grips, turned mouldings, but also planed and milled parts. Complete product range and examples of our work can be found on the website.